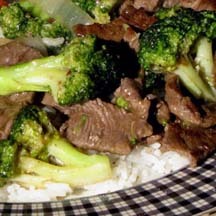 CooksRecipes special collection of family-favorite recipes for beef dishes that you can count on for successful deliciousness. 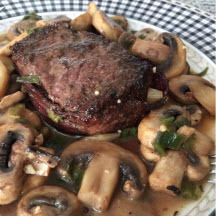 Flavorful, marinated steaks are pan-grilled and served with a savory sauce of sliced mushrooms. 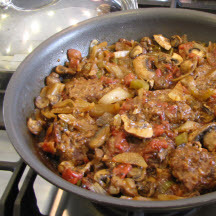 Seasoned and floured beef steak is browned, then braised in a savory sauce of tomatoes, onion, garlic, celery, mushrooms and Worcestershire sauce until fork tender.